South Korea has shifted some policy gears following North Korea’s latest provocation. 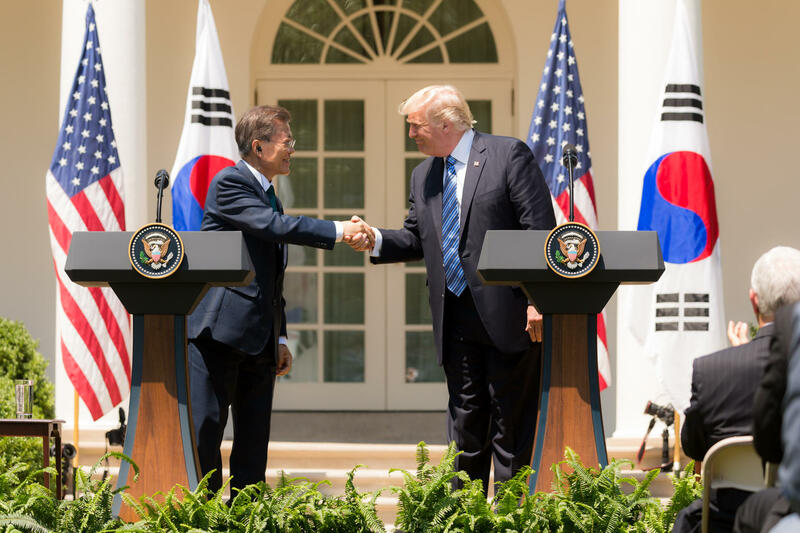 South Korean President Moon Jae In had been cautious about the U.S. Terminal High Altitude Area Defense system or THAAD. During the campaign before his election in May, Moon was skeptical about the system—in part because of opposition from South Korea’s largest trade partner: China. Monday, South Korea’s Defense Ministry said four THAAD launchers will be set up “at the earliest date possible” to counter any North Korean missiles. The same day, Moon and President Trump spoke on the phone. Analysts say that could mean bombs powerful enough to destroy underground bunkers in North Korea. South Korea’s currency and its stock markets have fallen since the latest test, but not precipitously. And Finance Minister Kim Dong-yeon promises the government will take any steps necessary for stability in coming days. As for diplomacy, later this week President Moon will meet personally with Russian President Vladimir Putin and Japanese Prime Minister Shinzo Abe. They’ll all be attending a previously scheduled gathering of the Eastern Economic Forum in Vladivostok. According to Russian media, a delegation is also expected from North Korea.